I love wooden monograms! They are trendy but even though they are popular, monograms are still completely unique! My mom had recently seen a wooden monogram and really liked it. So while they were in town, we decided to have a little fun with my new BladeRunner X2 and create a fun and unique DIY Wooden Monogram. I was so excited when Rockwell sent me a BladeRunner X2 to try out! (Thanks Rockwell!) The BladeRunner X2 uses jigsaw blades and can cut wood, metal, pvc and tile! 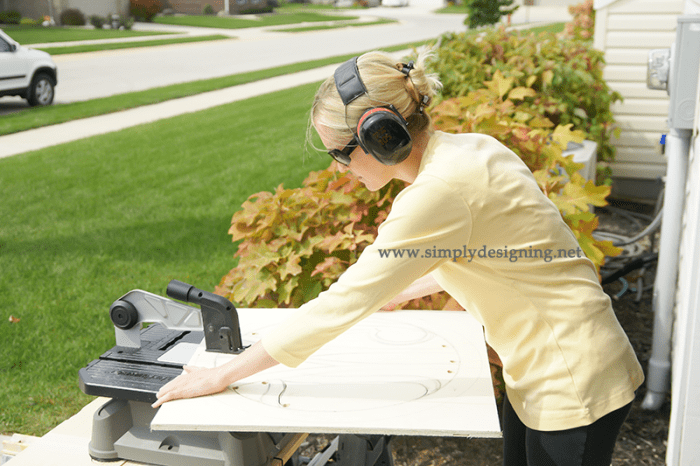 And it is ideal for making quick rip-cuts, scroll cuts, miter cuts and crosscuts. You can use this to make many simple DIY projects but I, of course, decided to try a more complex project to really see what this could do! Didn’t he do a great job!? I love the style of the monogram and was excited to begin cutting it out! 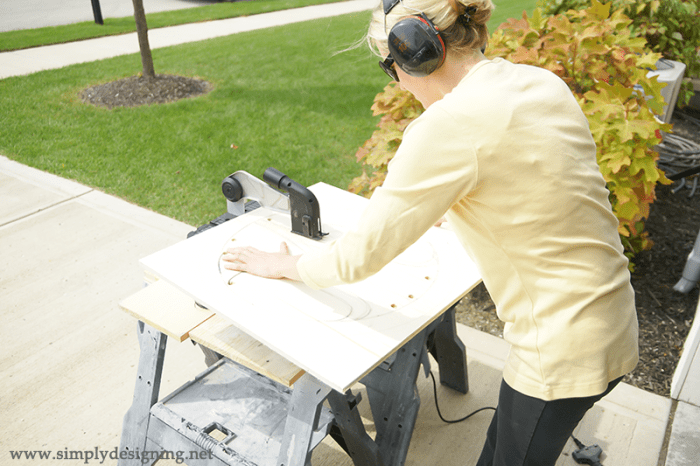 After the design was sketched on, I began by drilling a hole into each of the interior spaces to be cut out. We cut out each interior space first by placing the blade into the hole we drilled and then turned I turned the BladeRunner X2 on and started to cut! Of course it is important to always wear safety protection over your eyes and ears and keep your hands away from the blade. I was really impressed with how nicely this cut. And I was really amazed that for my first time using this tool, I was able to come out with a really nice end result! After the monogram was cut out, we sanded and painted it! I just used a spray paint primer and then a Rustoelum Metallic spray paint to give it a beautiful, copper metallic look! 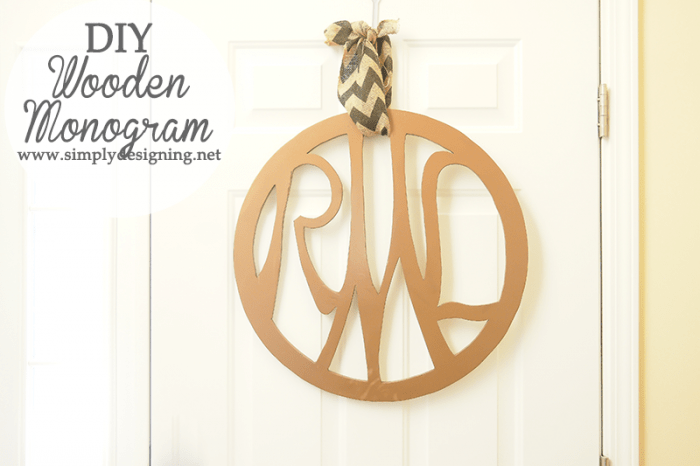 I love the idea of hanging this wooden monogram as a wreath on your front door! But it would also be really pretty as wall art as well! 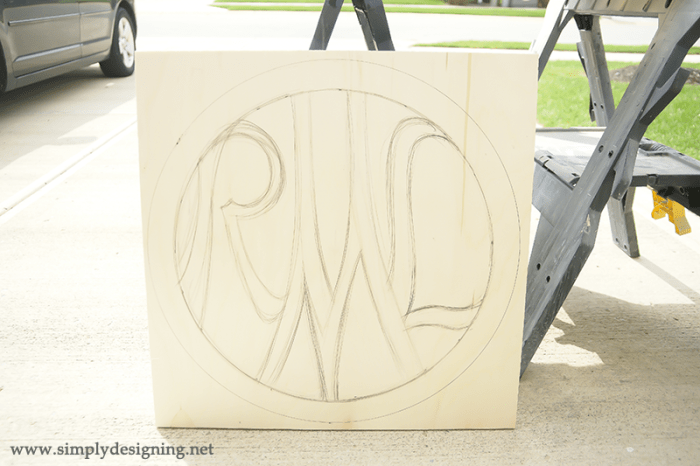 I am so happy that I finally have the right tool to cut out fun shapes and designs like this wooden monogram with! So so fun! Would you like to win a BladeRunner X2? All you need to do is wait until the Rafflecopter below loads fully and then enter to win!! Oh HOW COOL! I have never seen someone look so chic wearing protective gear like you do Ashley!! Gorgeous! 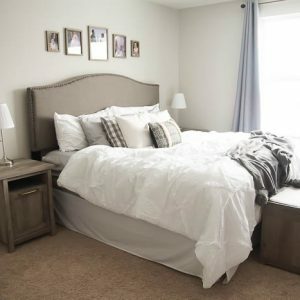 I have a couple large projects for our huge walls in our stairwell that I would love to use that on. Hahaha Gina you make me smile! You are so sweet! 🙂 Oh this sounds like the perfect tool for your projects. Good luck! 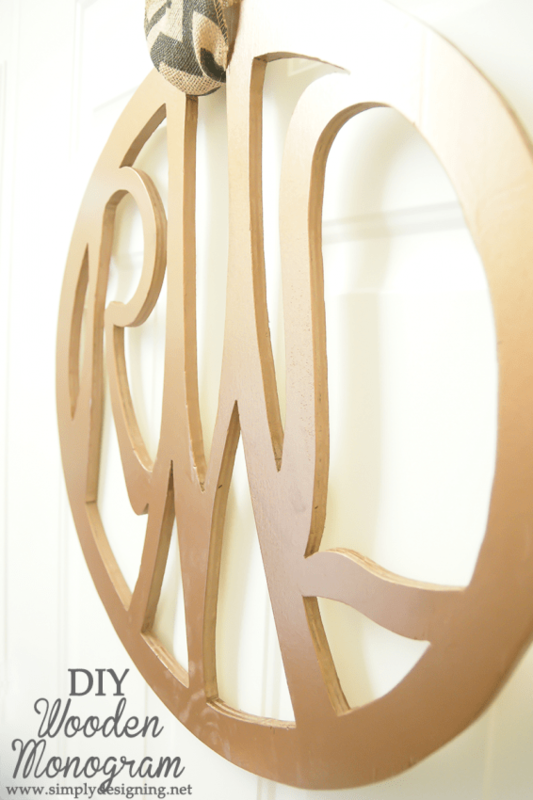 Love a good monogram—especially when made using Rockwell Tools! Gorgeous project and thanks for showing how important it is to use safety gear! On thank you so much Lauren!! Needless to say, we LOVE it! Thanks soooo much! You never cease to amaze me!!! Oh, you’re taking me out of my comfort zone with this! But I love your monogram and think I might have to copycat! Love this – great giveaway! 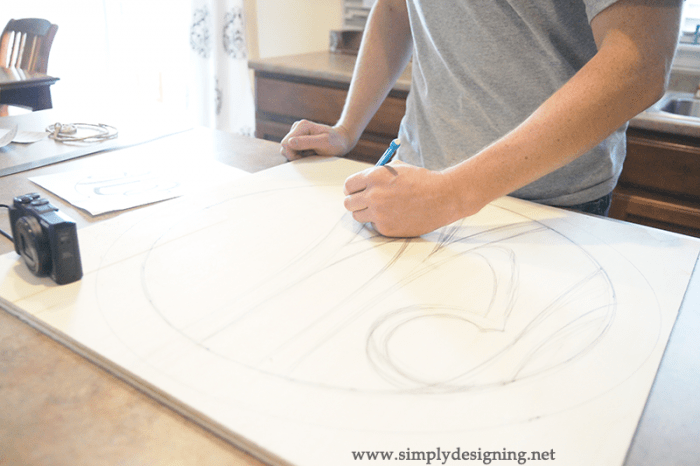 Awesome – I love how this project turned out and how easy it can be with the right tools! Thanks for the giveaway. Hi Ashley! I’d like to try to make a monogram like yours! 🙂 Thanks so much for the giveaway! Such a fun project and a great giveaway! I want to make one too! I’d make jewelry and stuff! Power tools make me feel powerful! OMG! I am in love with this tool, your wood monogram came out so great. Ashley you are rockin those ear muffs and protective eyeware..lol.. I would love to make a large wood monogram like yours for my familyroom over my sectional. Thank you Jeannie!! You are so kind! 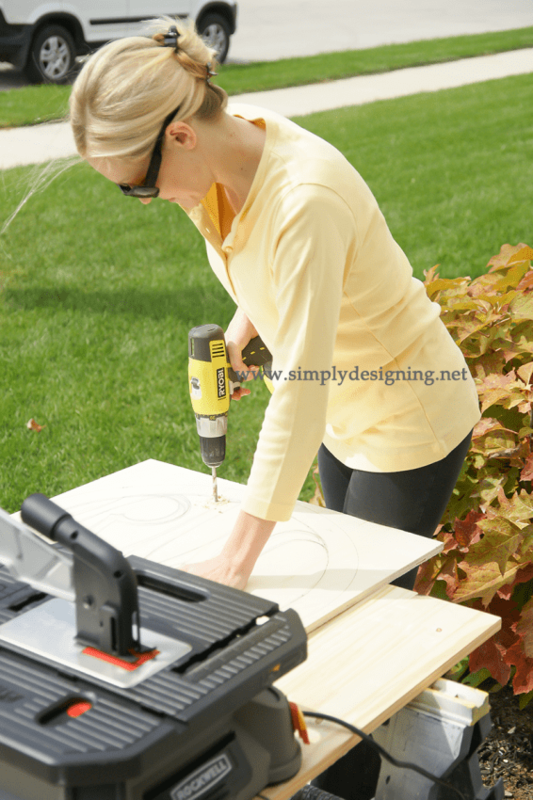 This looks and sounds like a really simple and effective cutting tool for intricate designs. 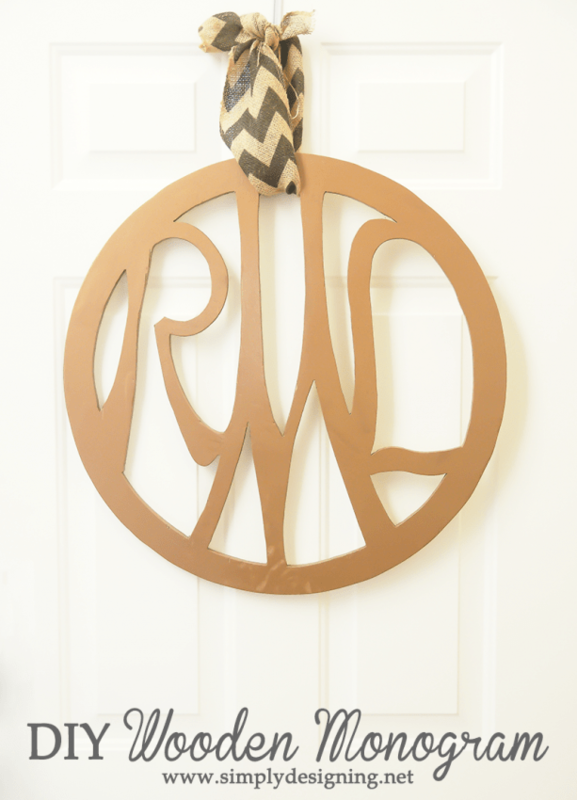 I’d probably make some big monograms like this but for the walls in my kids rooms! Such a cute project! I would cut my sons name out of wood with the Rockwell Blade Runner X2 and lots of different shapes that we could paint together and hang on his bedroom wall. I would probably try something easy like cutting out my letters! Hi Ashley! 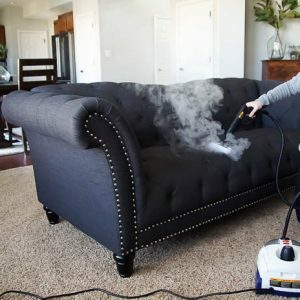 So nice for you to host this wonderful giveaway! 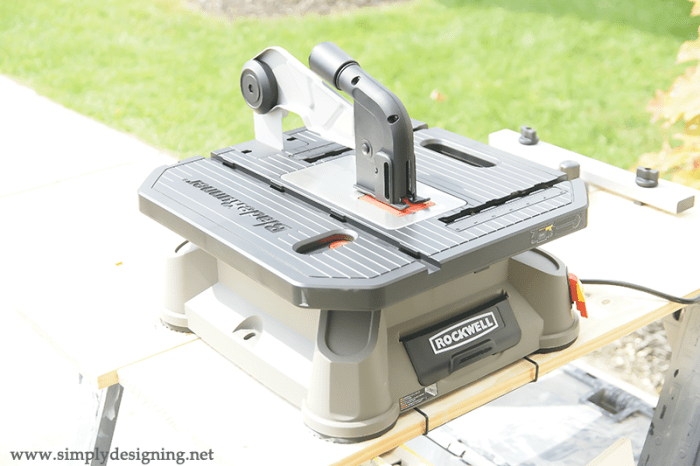 Since I have just recently started using a jigsaw and a scroll saw, I would use the BladerunnerX2 to cut out my wooden projects for crafts. Examples: pumpkins, leaves, ghosts, candy-canes, snowmen, etc. Thanks for sharing! Blessings from Bama! I would cut out some steel or copper patterns for making roses and other flowers out of metal. Question, I tried cutting a cute pumpkin out with a letter B inside. It measures a little less than 24 inches and I am having an issue with it running into the arm blade. How big was your monogram? Did you have this issue? Thank you. I am so sorry to hear you are having issues. This particular project is now 2,000 miles from my home at my parents house so I can’t measure it, but it is close to 24″ x 24″. The trick to cutting something this large is to do it in sections. You might have to tackle the top right side, then the top left side because you might not be able to do the whole section in one go without hitting the arm. I hope that makes sense. Let me know if you have more questions! And best of luck!